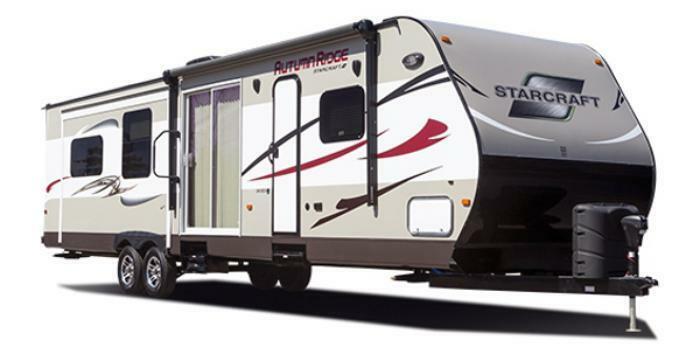 Starcraft RV is recalling 45 model year 2015-2016 Autumn Ridge, and Solstice fifth wheel trailers manufactured August 12, 2014, to October 16, 2015, and equipped with a side vented sewer drainage system termination valve. The vehicles may be missing a caution label to inform the operator not to leave the drain valve open to prevent an escape of sewer gas. If the drain valve is left open, sewer gas may fill the recreational vehicle, increasing the risk of occupant injury. Starcraft will notify owners, and send them the missing label, free of charge. The manufacturer has not yet provided a notification schedule. Owners may contact Starcraft customer service at 1-800-945-4787. Starcraft's number for this recall is 9902274.